Space Systems/Loral announced in June 2009 that it has been awarded a contract to provide two new satellites to Intelsat, the leading provider of Fixed Satellite Services (FSS) worldwide. The two satellites, Intelsat 19 and Intelsat 20, will be among the most powerful FSS satellites ever built with unprecedented capacity to provide services for broadband, video, and voice applications. 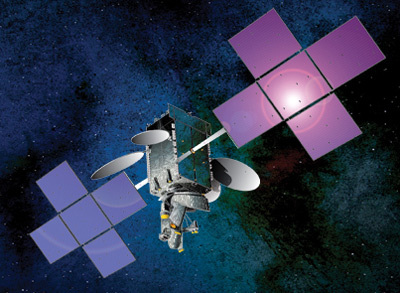 Intelsat 19 and Intelsat 20 will replace existing satellites that currently provide services to five continents and will offer services for broadcast television and telecommunications. The satellites also will have the capacity to support mobile communications and higher data rate network services. Intelsat 19 is the 36th satellite that Space Systems/Loral provided to Intelsat. It will replace the Intelsat 8 satellite at 166 degrees East longitude. The satellite has 34 Ku-band transponders that can be switched between four different footprints that cover Australia and the Pacific Ocean region, and 24 C-band transponders that will be connected to a high-power footprint covering Australia, New Zealand, Southeast Asia, Japan, and the western United States. The satellite's C-band capacity will provide enhanced distribution of content throughout Asia-Pacific with reach to the Western United States. Both satellites are built on the SSL-1300 satellite platform, which provides the flexibility for a broad range of applications. They are designed to provide service for at least 18 years. After successful launch on 1 June 2012, the satellite failed to deploy one of the solar panels. After several maneuvers, the jammed array was finally deployed on 12 June, but it reportedly generates only one-third of its rated power.